Inter's title hopes take another blow while for Milan, Champions League football seems a long way off. Carpi's Kevin Lasagna celebrates with his team-mates after his late equaliser secured a point against Inter. This was the weekend when Inter choked on their “Lasagne”, whilst city cousins Milan had difficulty digesting their “Maccarone”. Fact is that both Milan giants recorded disappointing draws this weekend, 1-1 against Carpi and 2-2 against Empoli, with their opponents’ equalisers coming from players – Kevin Lasagna for Carpi and Massimo Maccarone for Empoli – whose names are also a great national pasta dish. 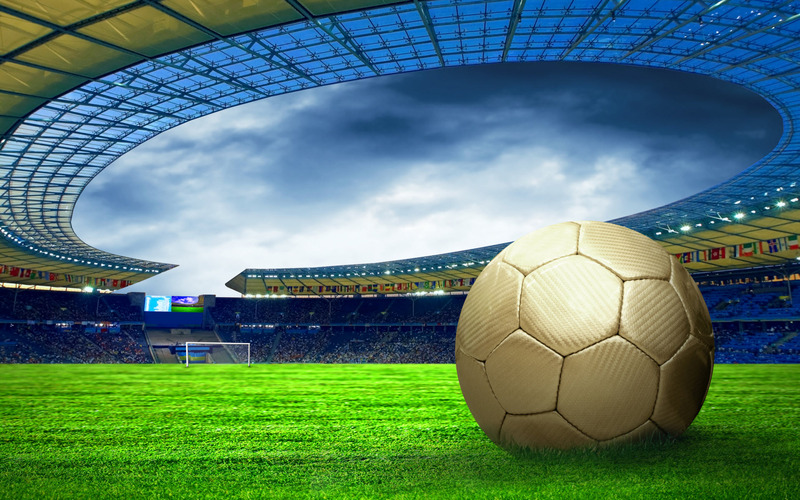 As leaders Napoli and second placed Juventus motor on down the highway, with impressive wins against Sampdoria (4-2) and Roma (1-0) respectively, one is tempted to suspect that the Serie A contest has become a two horse race. For the time being, Inter are still theoretically in touch in fourth place, six points behind Napoli, four behind Juventus and level with Fiorentina. In contrast, however, sixth placed Milan look like they will struggle to even get close to the Champions League zone, currently 14 points behind Napoli but, more importantly, eight behind Fiorentina and Inter. “We came here to win and I’m sorry, we just lacked that killer instinct to close off the game, we had a couple of counter-attacking situations where we really needed to be a lot more cynical”. 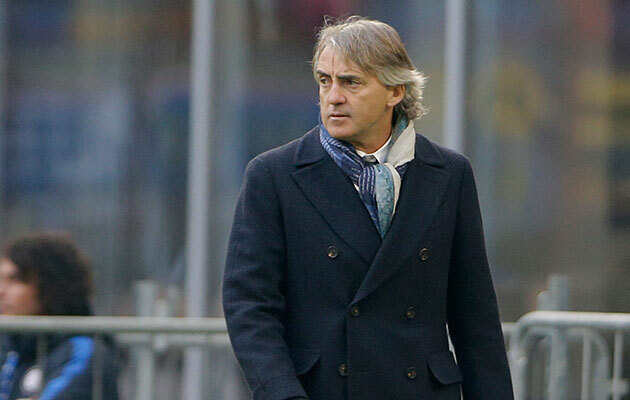 Inter coach Roberto Mancini has been left frsutrated by his team’s failure to kill teams off. After the game, Mancini was asked if it was true that, via a TV reporter, he had passed on a scarf, as a token of peace, to his Napoli opposite number, Maurizio Sarri, the man who angrily called him a “queer” as Inter beat Napoli 2-0 in a midweek Italian Cup tie. Mancini confirmed that the scarf Sarri was wearing last Sunday did indeed come from him and that, furthermore, it bore the inscription of the Lord’s Prayer in different languages. As Napoli defeated Sampdoria 4-2, Mancini’s scarf clearly worked well. So, what would Roberto Mancini like from Sarri in return? Napoli’s Gonzalo Higuain struck again on Sunday to make it a remarkable 21 goals in 21 league games. 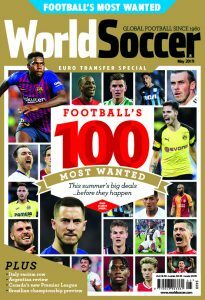 Yet, even as Higuain is underlining his status as a world class striker, there is another Argentine striker in Italy who continues to have a huge say in this title race, namely 22-year-old Paulo Dybala of Juventus. 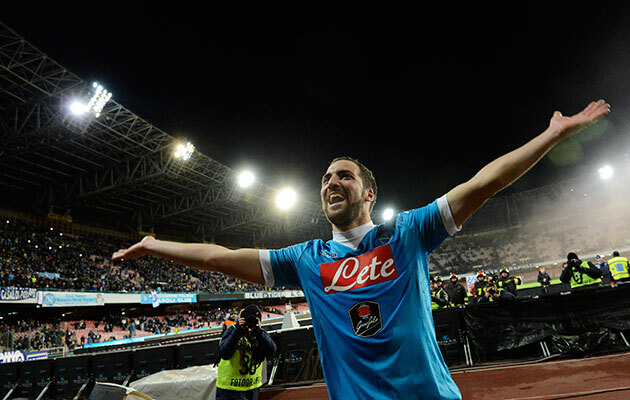 Gonzalo Higuain is in the best form of his life and his goals have been key to Napoli’s success this season. Dybala it was who enlivened a somewhat dour Juventus v Roma tie (new coach Luciano Spalletti has yet to work any magic), producing some wonderful touches and, above all, scoring the only goal of the game in the 77th minute. The more Juventus improve this season, the more Dybala improves. Right now, one of the great privileges of this Serie A season is to watch the Higuain v Dybala contest-within-the-contest. Higuain is a thoroughbred goalscorer, as witness that he has scored 21 goals as opposed to the 12 scored by Dybala. Higuain, however, is more than just a goalscorer, a reader of the game who regularly sets up the winning “assist”. Dybala might not score as much as his compatriot but he is, arguably, an even more complete player, blessed with magical touch, intelligence, ability to dribble and free kick skills. Roll on Saturday, February 13th, Juventus v Napoli, Dybala v Higuain. That could be a game worth watching.